Len Mattiace’s anti-bullying initiative got a boost from the PGA Tour this week. Mattiace, a two-time Tour winner and a Jacksonville resident, received an $8,000 grant from the Tour for the Len Mattiace Foundation, which was announced on Wednesday during an event at Andrew Robinson Elementary School. Mattiace said he will award $1,000 to eight schools who make the best effort on his Stop The Bullying Campaign that he began last year. Wednesday was “Unity Day,” in Duval County as the Mattiace Foundation began a partnership with Duval County and Communities in Schools to launch the campaign to last the rest of the school year. The drive will engage students with different anti-bullying themes and find ways to express awareness through posters, service projects, after-school activities and student and community interactions. Mattiace also said the campaign will address the ease in which children and youth can be bullied through the internet and smart-phone communications such as texting. Mattiace is doing more than talking a good game. He will visit schools throughout the year and personally talk with children. “I look forward to visiting different classrooms throughout each month, connecting with the kids, and together we will spread the message of unity, care and compassion for all,” he said. Mattiace also will hold his foundation’s third annual Pro-Junior Championship Dec. 16 at the TPC Sawgrass. 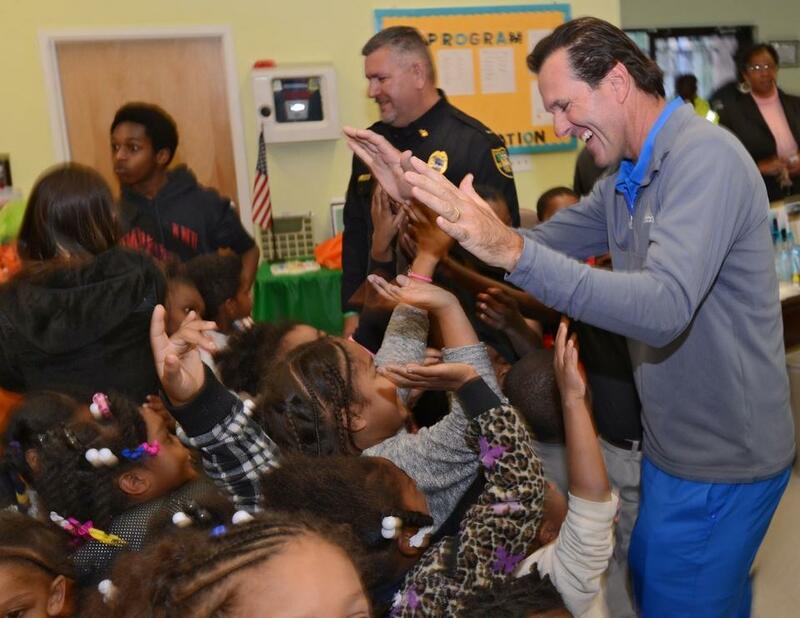 The tournament has raised $23,000 in the first two years for The First Tee. The tournament field consists of 50 two-play teams, with a pro and junior. Among the professionals scheduled to compete are Russell Knox, Julian Suri, Morgan Hoffmann, Christian Kim, Cheyenne Woods and Amelia Lewis.